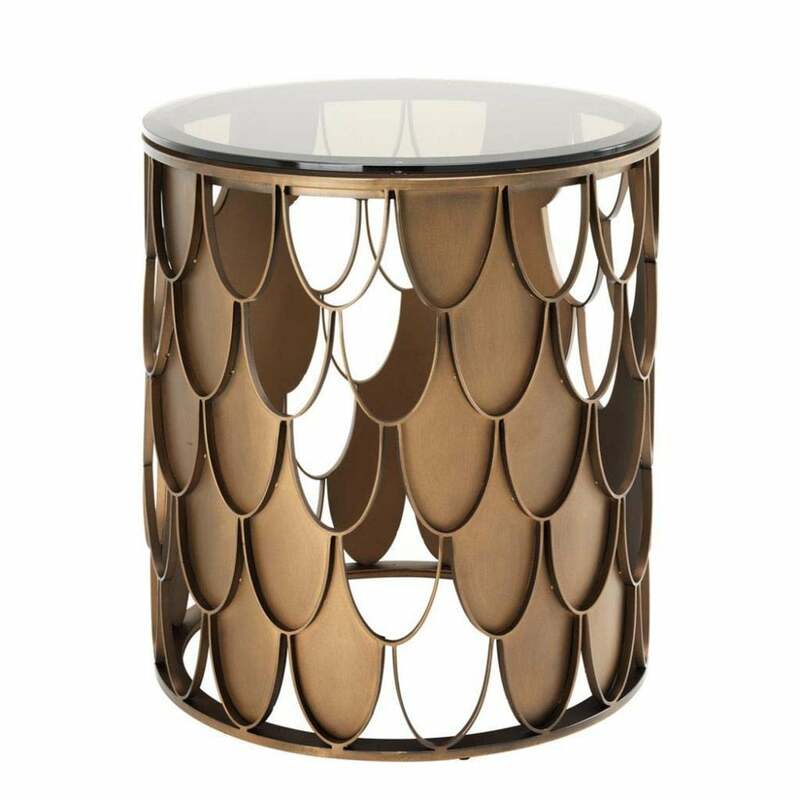 Composed of scalloped edge scales in an on-trend copper hue, the L'Indiscret Side Table is inspired by the opulent furnishing designs of the Art Deco era. Style next to a cosy sofa or as a unique beside table for a designer look. Hand-crafted using the finest materials, the round frame features a tawny glass table top for an artisanal finish. Use to display your favourite flowers, trinkets and books. Combine with other additions from the Eichholtz homeware collection for a layered, designer look.